Best-selling author Beryle Stone, the most famous citizen to ever come out of Cottonwood, Kentucky, has died and put all her worldly possessions up for auction - but not without leaving one more manuscript behind: a hidden tell-all about Cottonwood that's got more gossip than a ladies' luncheon. 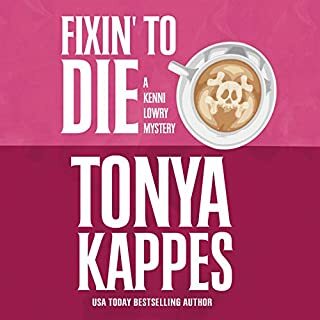 When Beryle's assistant turns up with an ax in her back and the only witness is in a coma, Sheriff Kenni Lowry reckons someone in town will do anything to keep the manuscript from seeing the light of day. 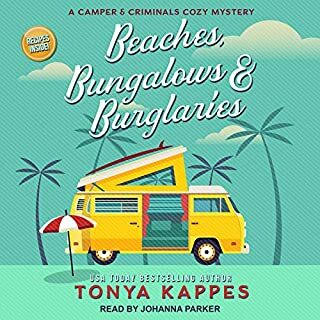 Her poppa's ghost returns to help piece together the life of the Beryle he once knew, but his memory's a little foggy, and any misstep could cause them a world of trouble. With the help of Deputy Finn Vincent, can Kenni sort through the secrets buried in Beryle's books, or will this be her final chapter? 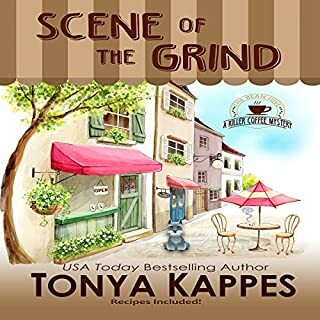 One night in <strong>Ax to Grind</strong> by Tonya Kappes, Kenni Lowry, sheriff of the small town of Cottonwood, Kentucky, and Finn Vincent, her deputy, notice Kenni's dog, Duke, barking and running towards Ruby's Antique Shop. Next to the shop, they spot the body of Cecily Hoover with an axe in her back. Cecily has been serving as the assistant to Cottonwood's most famous person to grow up in the town, prolific author Beryle Stone, who just recently died and whose death has brought many strangers to Cottonwood for the big estate sale of her possessions. Then, seeing broken glass in Ruby's shop, the pair go inside and find Paige Lamar just barely clinging to life. The pair of detectives race to solve a strange confluence of murder and the possible murder of Beryle Stone. Even if Beryle wasn't murdered, her life certainly had an effect on actions around her, particularly because she supposedly wrote a tell-all book that no one can find. Kenni finds herself aided in the investigation by the ghost of her Papa, whom only she and animals can see or hear. 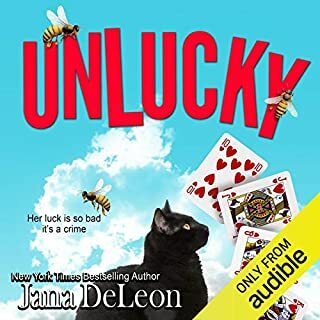 It had been a while since I listened to the previous two books in this series, but I quickly reentered the world of Cottonwood, Kentucky, helped by the performance of Hillary Huber. The plot has some really interesting twists with an ending I didn't come close to guessing. 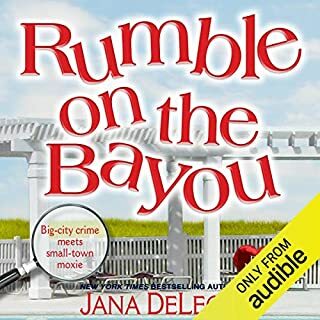 While Kenni is busy trying to deal with the murder of Cecily and the attempted murder of Paige, she also deals with having to campaign for reelection against Paige's husband, Lonny Lamar, who had served as a deputy under Kenni's Papa. Thus, she faces a lot of added pressure to solve the case quickly for fear that he will use this case against her in the election. 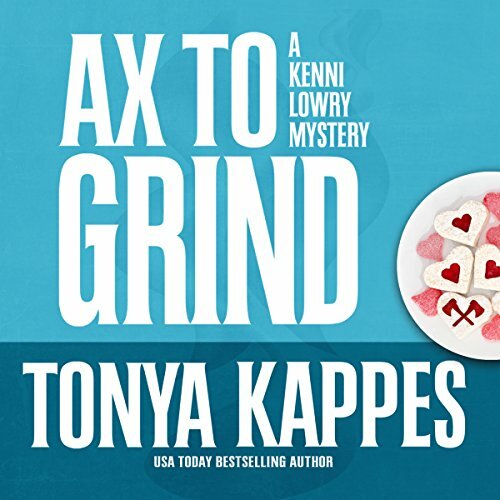 I liked the characters in <strong>Axe to Grind</strong>, as they create tremendous flavor to the book. Kenni is a highly sympathetic person, and we connect thoroughly with her. She has plenty of romantic tension with Finn, her deputy, leading to interesting depth to their characters. Kenni's mother is determined to marry her off to Finn, even trying to make wedding plans when she is erroneously informed that Kenni was seen kissing Finn. The touch of having the ghost of Papa, the sheriff before Kenni until he died, adds extra flavor and humor to the book. Hillary Huber performs the audio edition of this book with lots of energy and creativity. 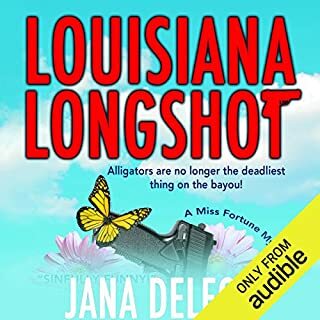 She uses a gentle Southern voice for the narrative parts of the book and stronger Southern accents for the roles of the characters. The voices sound highly believable and suit the characters well. Huber uses good expressions and timing, making her inflections fit the book well. <strong>Axe to Grind</strong> turned out to be a highly creative and clever book that kept me entertained throughout. I enjoyed the details of the plot as well as the many delightful characters. I give this book five stars.